Boca Raton FC after announcing Chad Johnson signing will be visiting PSL United SC at South County Stadium this Saturday in the season opener. Everybody is curious how the six-time NFL Pro Bowler Mr. Ochocinco will perform on the soccer field. Watch the game at 7:00 PM ET. 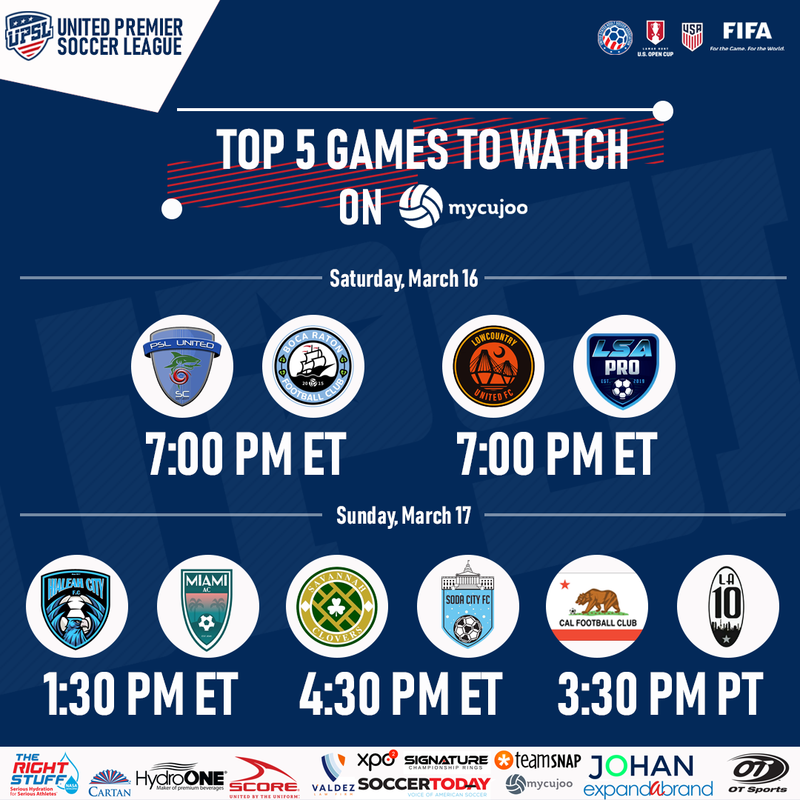 Lowcountry United looks to stay top of Southeast Conference Mid-Atlantic South Division B after the big win last weekend against FC Cardinals. Meanwhile, LSA Pro will kick off their inaugural season with a huge challenge ahead. Both Hialeah City FC and Miami AC are new members of the UPSL. Hialeah City FC has the home advantage, but Miami AC looks to show off what their young talents can do. After defeating Charleston United SC, this week Soda City FC will have to travel to Savannah (Ga.) and look for a revenge of the tough loss in the playoffs last season. Meanwhile, playing the first game at Memorial Stadium will be an advantage for Savannah Clovers SC to take the win. Cal FC, the defending Western Conference SoCal North Division Champions, will take on undefeated LA 10 FC in Calabasas HS Stadium. Will Cal FC be able to keep their outstanding record or LA 10 FC can continue their success from last season?